American fishermen are 23 times more likely than the average American worker to die on the job. That’s a shockingly high number, and it might not surprise you if you’ve watched Deadliest Catch. Amazingly, it’s better than it used to be, and a policy that EDF has championed for a decade has played a significant role. The on-the-job death rate comes from the Department of Labor’s annual review of workplace fatalities. Each year, the DOL analyzes all on-the-job fatalities (in actual deaths and deaths per 100,000 jobs), and for years, fishermen have held the first or second highest fatality rate. What this year’s numbers don’t show, however, is how some fisheries are making the industry a lot less deadly. 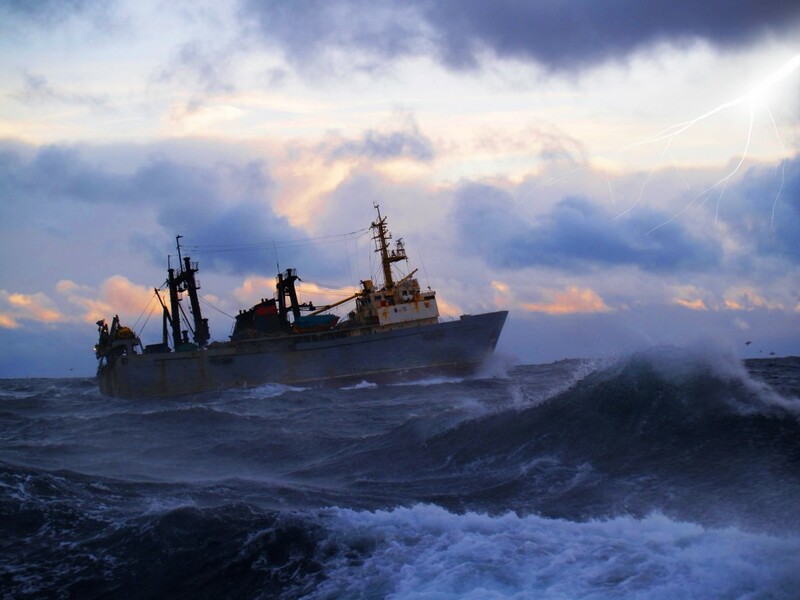 Fishermen face risks from treacherous weather conditions and heavy equipment. In some fisheries, however, the rules that govern when and where they fish actually encourage risky decisions. When fishermen are subjected to rules that limit when they can fish, they find themselves in a race against the clock, the competition, and the weather. In many fisheries around the world, managers have implemented catch share programs that allot a share of the annual catch to each fisherman. This vastly improves safety. With an annual allotment in place, fishermen can fish whenever they want, instead of playing beat the clock and fishing only on certain days of the year when they are told to fish, regardless of whether rough seas and storms may threaten their lives. Fisheries in the United States and British Columbia that switched to catch shares experienced, on average, a near-tripling in safety, as measured by injuries, search and rescue missions, vessels lost, and lives lost. According to the National Marine Fisheries Service, search and rescue missions in Alaska’s halibut and sablefish fishery plummeted from 33 in 1994 (the last pre-catch share year) to 6 in 2012. The Alaska Bering Sea Crab fishery – the focus of Discovery’s Deadliest Catch – has seen fatalities drop since switching to catch shares. Incidentally, safety concerns and not just sustainability issues played a large role in the decision to switch to catch share management, which has extended the crabbing seasons. In the five years before catch shares took effect (2005), eight crabbers perished. In the eight years since, one crabber has died on the job. Certainly, that is one fatality too many, but it is a clear sign of improvement. Changes in management are not a panacea for improving fishermen safety. There are other measures that safety advocates are urging managers to adopt, including mandatory personal flotation devices, stronger requirements for on-board safety equipment, and better fishing safety trainings. But smart management tools like catch shares are making fishing safer. They bring predictability and a less frenzied pace to this inherently dangerous profession, and play an important role in making sure fishermen are not forced into a dangerous race against the clock. The ocean will always be a dangerous place to work, and fishermen will always brave the waves in pursuit of their livelihoods. But rules should make things safer, not more dangerous. And where they are being employed, catch shares are getting the job done. This entry was posted in Domestic and tagged Deadliest Catch, Deadliest jobs, Fishing Safety, job risks. Bookmark the permalink. Both comments and trackbacks are currently closed.